Mouth ulcers are supremely painful lesions that make consumption of food and water very difficult. It can be caused by a reason as small as biting your own cheek to an upset stomach. Mouth ulcers have the worst timing right? Like just before that amazing wedding or birthday party of a friend which you have been waiting for since a long time, just before that the ulcers happen. But still, not to worry, ulcers can be treated even at home. So, here we are with 10 home-based life hacks to save you from suffering for too long! Honey proves to be a soother for mouth ulcers and accelerates the healing process. It also has antioxidants and antimicrobial properties. All you need to do is dip a cotton swab in honey and dab it on the affected area. You can also use glycerin or vitamin E oil in the same way. For mouth sores caused by radiation therapy, manuka honey can be used. Yogurt helps combating bacteria responsible for the condition. Yogurt is not only beneficial for treating mouth ulcers, but is also helpful for prevention from recurrence. It is advised that you aim at consuming around 200 grams of yogurt each day. Aloe vera has the virtues of working as an anti-inflammatory, antibacterial and curative remedy that help ease the pain and inflammation as well as speed up the healing process. Extract the gel from a fresh aloe vera leaf and apply it directly on the ulcer and repeat the procedure several times a day. You can also take at least two tablespoons of aloe vera gel three times a day for quick results. The key to this is getting a lot of vitamin C into your body. Vitamin C deficiency can cause mouth ulcers. Also, vitamin C boosts your immune system and helps your body fight all kinds of infections, including mouth ulcers. Clove oil and its eugenol content are extensively used for dealing with oral problems quickly and effectively. Its antimicrobial action and healing properties work wonders when it comes to mouth ulcers. Dip the cotton swab in the clove oil and apply directly on the mouth ulcer. Leave it on for it to be absorbed by the skin, which will eventually heal the ulcer. Rinsing the mouth with warm water before applying the clove oil is advised, as it cleans the area of the ulcer. Apply the oil twice or thrice a day. Turmeric is a well-known antiseptic that is used both topically and internally to treat infections. Its anti-inflammatory and antimicrobial properties can give you quick relief from mouth ulcers. All you have to do is make a paste by mixing the water and turmeric, apply this on the mouth ulcer and leave it on for two to three minutes before rinsing it off. Apply this every day in the morning and evening until the mouth ulcer heals. Cabbage juice possesses anti-inflammatory compounds and speeds up the healing process of the mouth ulcers. Boil the cabbage until the water quantity reduces to half. Sip on a glass of this juice for relief from the mouth ulcer pain. Drink three to four glasses in a day. Mulethi helps in cleaning your stomach and removes toxins that could be responsible for the ulcers. For mouth ulcers cause due to stomach ailments, mulethi works wonders. It is best consumed with water or with some honey. Tulsi leaves are known to be very therapeutic. When you chew those fresh leaves, they will taste bitter but drinking water after that to swallow them helps with the taste. Green tea has been proven to have soothing and anti-microbial properties. Soak a tea bag in warm water and squeeze out most of the moisture. Apply this to the tingling spot as a compress four times every day. 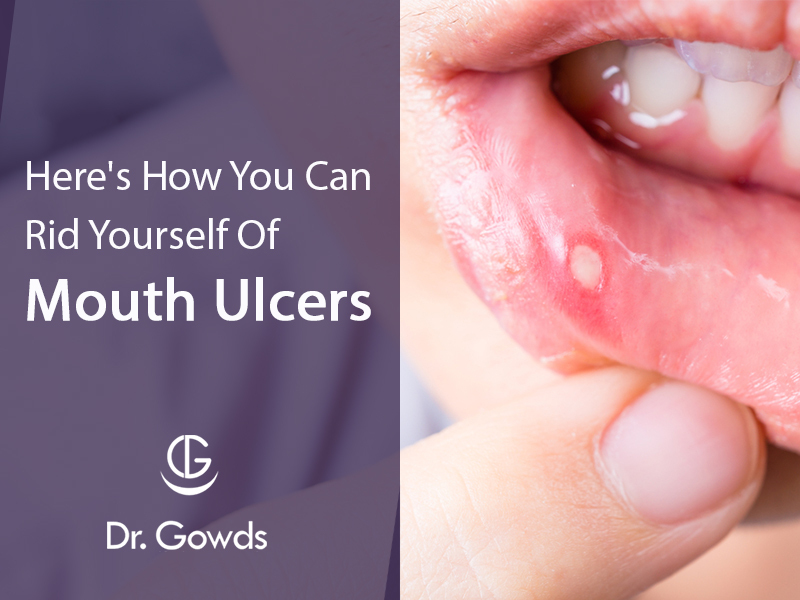 Mouth ulcers usually take a week or two to go away completely, but just in case it does not, a doctor must be consulted. In most cases, mouth ulcers may be caused due to some imbalance in the stomach or intestines. You should eat light meals with a lot pro-biotic items like yogurt and drink a lot of fluids to keep your stomach clean.